Classes are held in person in Midland Ontario. Coaching can be done in person, or through coaching calls on a variety of topics. 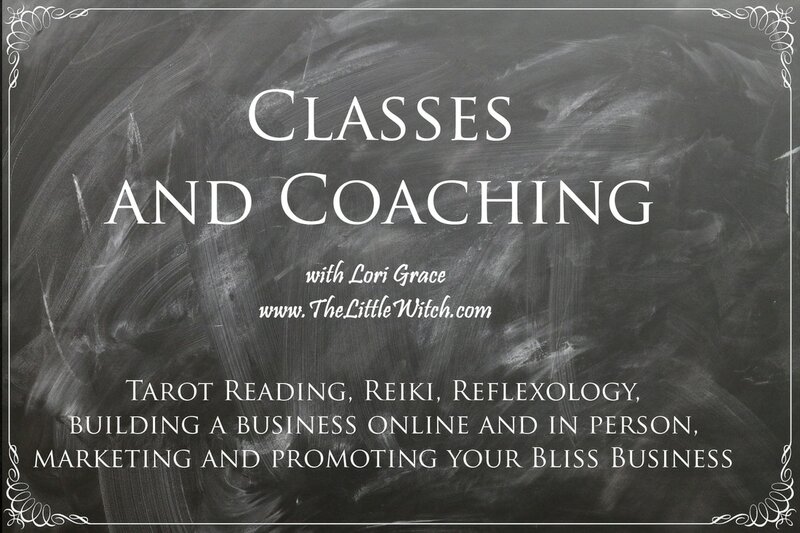 20+ years of experience with online sales and marketing, tarot and medium experience, and working within the community, to teach you how to expand your knowledge and grow your own "Bliss Business." Coaching calls for how to market your Bliss Business can be done for anyone across Canada. You are welcomed to record your classes or calls, using your phone, or bringing a digital recording device of your own, to review later. September classes are now being set up. Coaching calls are one on one and start when you are ready. You can email to make an appointment for a coaching call anytime, or to inquire about current class enrollment.